Clutter is anything we don’t need, want or use that takes our time, energy or space, and destroys our serenity. Clutter can include outgrown or worn out clothes, obsolete papers, broken toys, disliked gifts and much more. Clutter can make us feel depressed, disorganised and overwhelmed and detract from the original function of a space for example papers and boxes on a dining table make it difficult to share a family meal together; clothes piled on the bed make it difficult to sleep in the bed; and clutter in the garage can prevent you from parking your car inside. Clutter can become biologically stressful and it’s important to maintain good ongoing decluttering habits to enjoy an organised and relaxing home. 1. Keep it simple. Less is more. Owning less items means having to make fewer choices. This makes everyday decisions easier and quicker. Begin with small steps and try decluttering one shelf or one drawer at a time and see it through to completion. When you have decluttered and sorted one area, you will feel a sense of accomplishment and be more likely to continue. Don’t attempt the whole house or an entire room at once, especially on your own, as it might be too overwhelming. 2. A place for everything. Store items close to where you use them, for example in the kitchen keep your coffee, tea, sugar and cups together near the kettle. Have a set place near the front door to place essential items such as your keys, wallet and bag. A large bowl or a basket on a table can work well. Clutter has a habit of attracting more clutter so make sure you clean out the bowl from time to time and remember the floor is not a storage option. 3. Find your reason to stay organised. Explore your own values and discover your priorities, for example think about whether staying healthy, enjoying your leisure time or connecting with friends and family are important to you. Having a fridge crowded full of expired food makes it difficult to make healthy meals. Knowing you have piles of clothes or paperwork to sort makes it difficult to enjoy your leisure time. You are less likely to invite friends over for coffee or a meal if you have a kitchen and lounge room full of clutter. Relatives and friends can’t visit or stay overnight if the spare room is used to store items you’re not using. 4. Set boundaries. Buy only what you need or will use soon. Plan your meals ahead for the week and make a shopping list of food to buy. Endless bargain buys can lead to lack of storage and clutter. Allocate shelves, drawers and cupboards and ensure all items fit comfortably in the limited space. 5. Finish the cycle. Complete whole projects and tasks before starting new ones. Read all your magazines and books before buying more. As you leave a room put items away as you go. When cooking, wash up as you use items so you can relax and enjoy your meal. Do these things consistently so they become automatic habits. 6. Keep it interesting and fun. Work when you are naturally energised so you are more likely to complete tasks. Keep an eye out for coloured storage items that you will enjoy using. Play your favourite music to get in the mood. Challenge yourself to see how much you can get through in half an hour. When you complete a goal reward yourself with your favourite treat. See if you can get the help of a friend or family member to keep yourself motivated. 7. Establish a routine. Consistency builds habits and routines which become automatic and contribute to effortless thinking. Develop a system to prioritise important tasks first and try to complete one or two ‘must do’ tasks each day. 8. Use tools and technology. There are many free apps for your phone and computer to help you to stay organised, such as reminders, shopping lists and more, but remember to minimise your distractions on social media and set some limits. 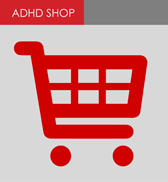 Read our article, 'Apps for ADHD minds' to help find an app that works for you. 9. Find what works for you. There is no one size fits all. If you prefer a paper calendar to a digital version stick with it if it works for you. 10. Get some support if you need it. When your home is cluttered and it is getting you down or affecting your lifestyle, be prepared to enlist some help. You may approach a good friend or relative, or you may seek the services of an expert professional organiser to assist you. The Australasian Association of Professional Organising can provide names of qualified and understanding members. Flylady.net for suggested good habits and routines. A ‘white noise’ app to increase concentration, calm your mind to assist in completing tasks.